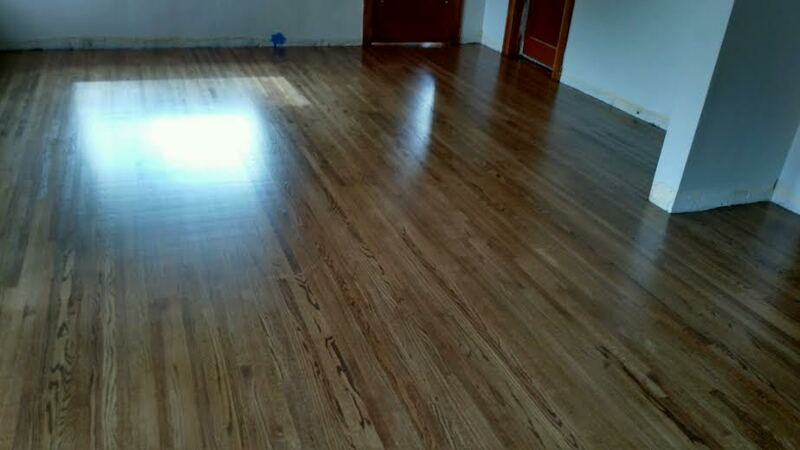 and refinishing of existing wood floors. 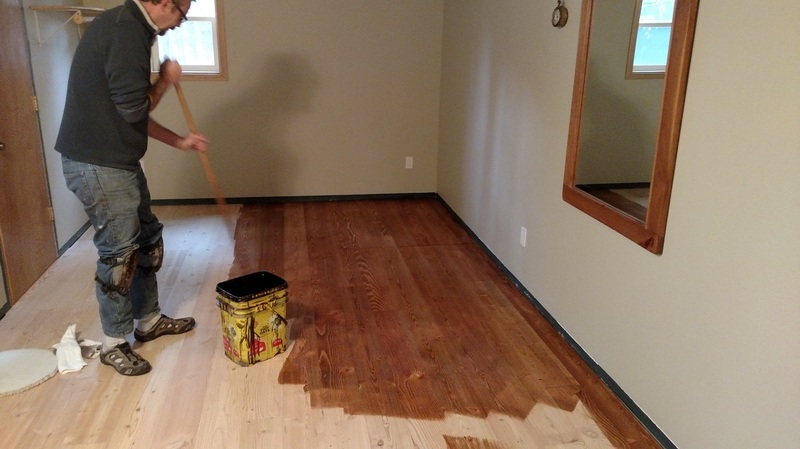 We will work closely with you, your builder and/or interior designer to choose the wood species and stain options..
Do you have hardwood floors that are looking worn out, scratched or suffer from long term stains? 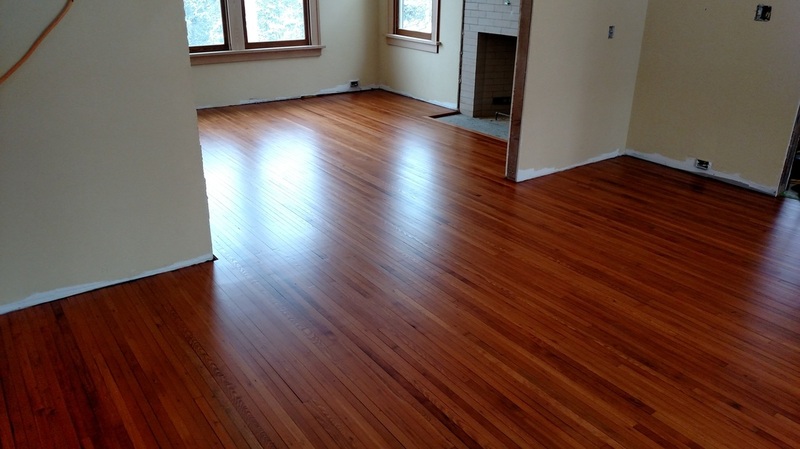 We can sand and refinish your existing flooring and bring them back to life! 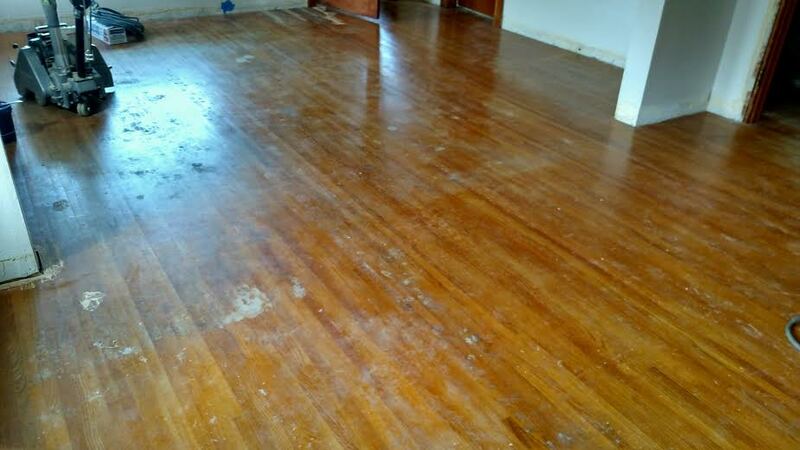 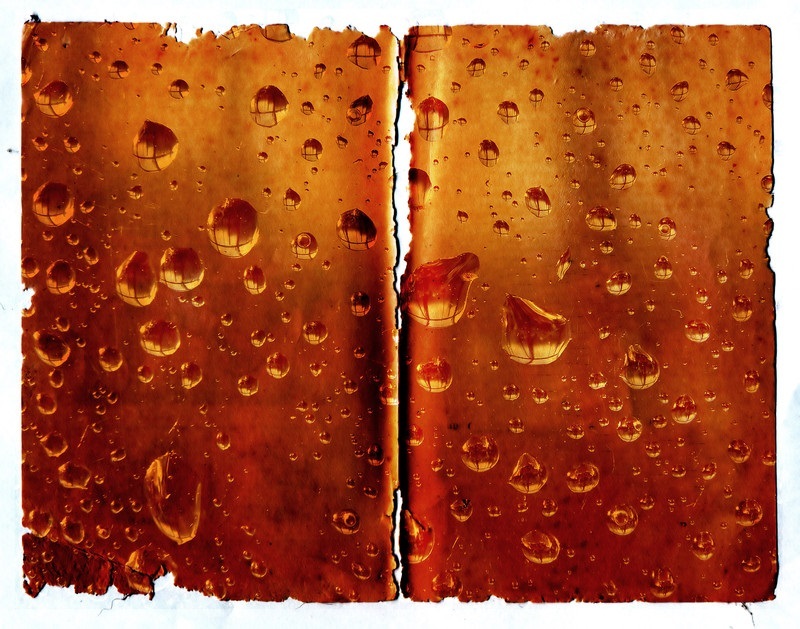 If you've had water damage, we can consult with you to see what can be salvaged. 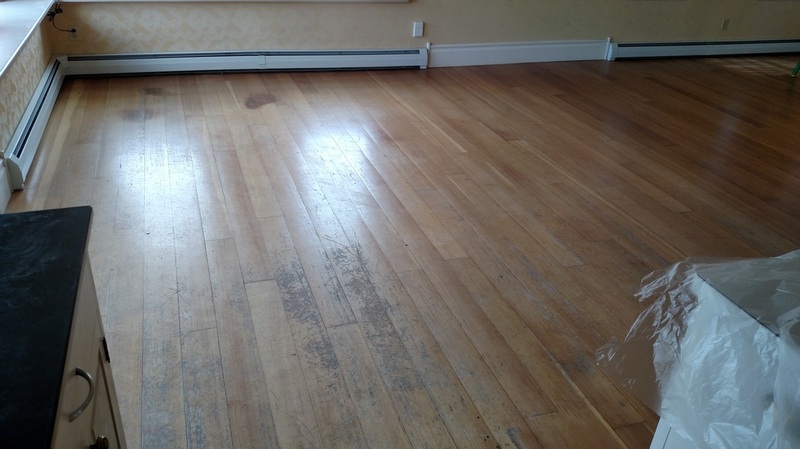 Kalispell home's vintage fir & larch floor that are worn out by time and use. 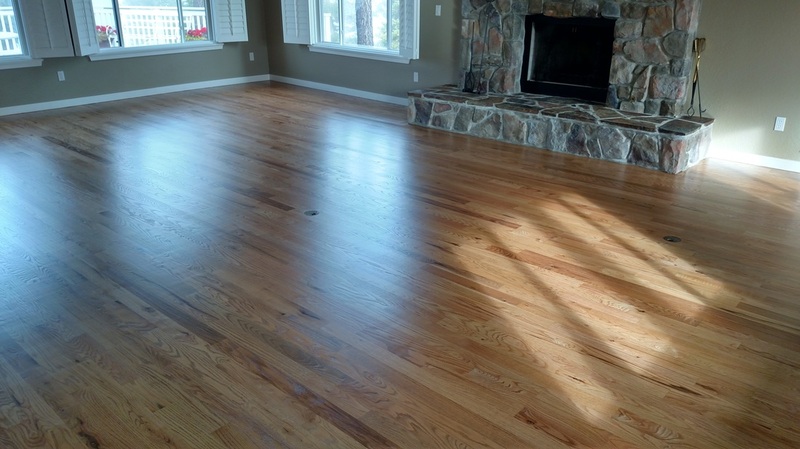 After refinishing, the beauty of the floors are restored. 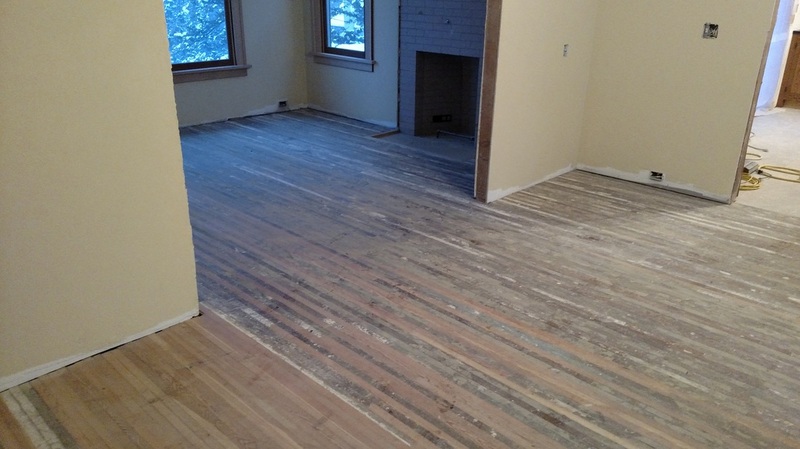 Somers, Montana home before ..... And after!